Set of 30 botanical high-resolution isolated watercolor illustrations. Perfect for packaging, patterns, posters, decoration. 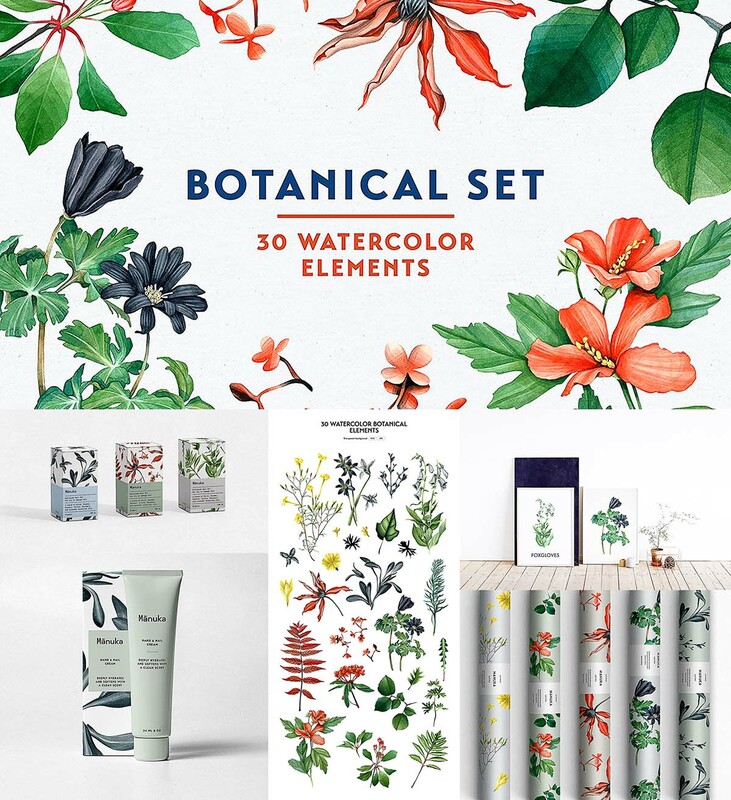 Tags: bloom, botanical, floral, floral illustration, herb, plant, watercolor illustration.